Apache CXF Fediz is an open source implementation of the WS-Federation Passive Requestor Profile for SSO. It allows you to configure SSO for your web application via a container plugin, which redirects the user to authenticate at an IdP (Fediz or another WS-Federation based IdP). The Fediz IdP also supports the ability to act as an identity broker to a remote IdP, if the user is to be authenticated in a different realm. 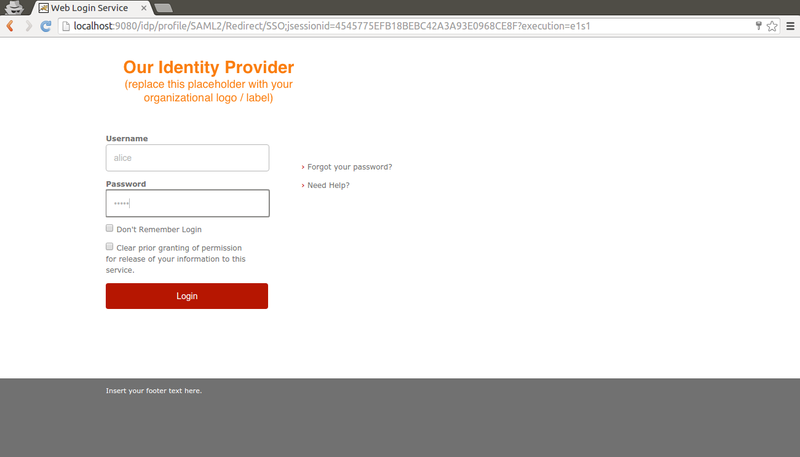 Last year, this blog covered a new feature of Apache CXF Fediz 1.2.0, which was the ability to act as an identity broker with a remote SAML SSO IdP. In this post, we will look at extending the demo to work with the Shibboleth IdP. Change the "url" value to "http://localhost:9080/idp/profile/SAML2/Redirect/SSO". This is a reasonable complex task, so let's break it down into various sections. Copy '$SHIB_HOME/war/idp.war' into the Tomcat webapps directory. Configure Shibboleth to find the IDP by defining: export JAVA_OPTS="-Xmx512M -Didp.home=$SHIB_HOME". Next you need to download the jstl jar (https://repo1.maven.org/maven2/jstl/jstl/1.2/) + put it in the lib directory of Tomcat. Edit conf/server.xml + change the ports to avoid conflict with the Tomcat instance that the Fediz IdP is running in. (e.g. use 9080 instead of 8080, etc.). As we won't be encrypting the SAML response in this demo, edit the '$SHIB_HOME/idp.properties' file and uncomment the "idp.encryption.optional = false" line, changing "false" to "true". Edit idp-signing.key to remove any additional information before the "BEGIN PRIVATE KEY" part. and change the values for KDC_PORT + KDC_UDP_PORT to "12345". Next remove the @org.junit.Ignore annotation from the "launchKDCTest()" method to just launch the KDC + sleep for a few minutes. Launch the test on the command line via "mvn test -Dtest=AuthenticationTest". That will enable Shibboleth to process the "persistent" attribute using the Principal Name. (Re)start the Tomcat instance we we should be ready to go. Select "realm B". You should be redirected to the Shibboleth authentication page. Enter "alice/alice" as the username/password. You will be redirected to Fediz, where it converts the received SAML token to a token in the realm of Fediz (realm A) and redirects to the web application.